Everest Poker is offering non-UK players the opportunity to win a package to the £250,000 guaranteed GUKPT Goliath in August for as little as €1.10. The GUKPT Goliath is one of Europe´s biggest live poker tournaments. 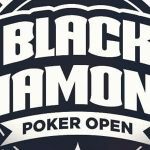 Last year 3,394 players from all over Europe ponied up the £120.00 buy-in to compete over eight days at the Ricoh Arena in Coventry (just twenty minutes away from Birmingham International Airport). The winner of the 2014 GUKPT Goliath – Ryan Foster – took home £62,120 (c. €87,750) for defeating Mark Adams in the heads-up, and this year Everest Poker is giving players the opportunity to win the buy-in and a contribution towards their travel expenses for as little as €1.10. 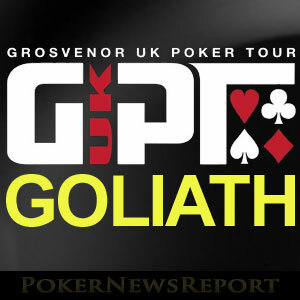 This year´s GUKPT Goliath takes place from Saturday 8th August through to Sunday 16th August and promises to be another record-breaking event – especially as Everest Poker is proving players from outside the UK with the opportunity to qualify for the event from as little as €1.10. Until 31st July, Everest Poker is hosting a “Goliath Final” tournament each day at 20:30pm (GMT) which guarantees a €500 package to the GUKPT Goliath – €170 going towards the buy-in, plus €330 towards travel expenses and accommodation. Daily €1.10 Re-buy and Add-on satellites are scheduled for 18:00pm, 19:00pm and 20:00pm each day (all times GMT), with at least one seat guaranteed for the target event. Daily €5.50 freezeout satellites are scheduled for 17:15pm, 17:45pm, 18:15pm, 18:45pm, 19:15pm, 19:45pm, and 20:15pm with at least two seats guaranteed in each satellite for the target event. Players can also win their seats in the Goliath Final by playing in special €11.00 buy-in “Goliath Sit & Go” games – two seats are guaranteed in each. Assuming that you qualify for the GUKPT Goliath, you can play in any of seven opening flights from Saturday 8th August to Friday 14th August. Players start with 50,000 chips and the event has a gentle blind structure with a forty-minute clock. If you have the misfortune to bust out during your chosen opening flight, you are allowed up to two re-entries per day. Day 2 of the GUKPT Goliath is played on Saturday 15th August, while the final day gets underway on Sunday 16th August – when the length of the levels increases to sixty minutes. If you have the misfortune to be eliminated at any stage (and it is too late to re-enter), a comprehensive side-event program is scheduled to run alongside the GUKPT Goliath, plus the venue will be hosting cash games around the clock. Not Yet Playing at Everest Poker? If you are not yet playing at Everest Poker, the qualifiers into the GUKPT give you an excellent excuse to try out the site. 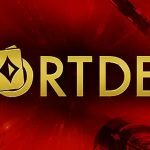 A 200% match first deposit bonus of up to €1,500 is available for new players, plus a welcome package which includes entry in a €2,000 freeroll and €10 of free poker tokens to try out the cash games. Everest Poker will also give to 20 Reward Points to kick start the benefits of their excellent VIP Rewards program. You can find out more about Everest Poker and how the site has recently expanded by reading our review of Everest Poker; or you can head directly over to the site to register for a GUKPT Goliath satellite and potentially be a part of poker history and win a life-changing amount.